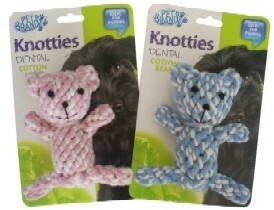 Knotties Teddy Bear Dental Chew Toy The Knotties Teddy Bear is used to encourage healthy gums and maintain clean teeth. 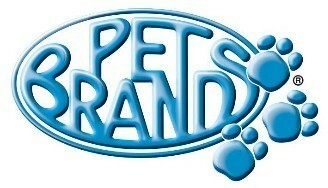 Fantastic for puppys as these can be used wet to help sooth gums. Comes in an assorted pack rope toys. Made from cotton, perfect dog rope toy.